Hey so this week was crazy with the weather. I heard that Recife has rain but not so much as we had this week. Streets flooding, coming home each night wet (if not soaked), mud/sand everywhere ahhhh but it is a bit cooler which is nice. Still humid though, so I’m still suffocating all the time 🙂 ahaha I love it though. I will miss this place. I am really loving my area though I really hope I stay here till I finish the mission. That would be awesome, the ward IS THE BOMB! The members are sooooo friendly and always always willing to help. They don’t remember things when we ask sometimes but if we remind them things work out haha. P-day after email we RAN in the rain to Natalias to have lunch with her and Rafa and then afterwards they played us songs and sang on the guitar together. THEY ARE SOOOO TALENTED! They harmonize super well and everything It reminded me sooo much of when Geoffrey and I would play and sing together back home. Rafa knew a lot of John Mayer, foo fighters and blink 182. I may or may not have sang along to a couple of them 😉 That is one difficulty of being a missionary if you’re a music junky like me. But Mo-tab has been a blessing so I’m not complaining! We have a newer investigator-Carlito who came to church sunday! WAHOO! he is reading and praying! He doesn’t officially live here though-bummer. He is currently staying with his son and his family. He lives down in Vitoria (more south in Brazil). We’re hoping that he’ll stay just a couple more weeks so we can work with him. He is so prepared! He already accepted to be baptized….but it’s going to be tricky. I know we needed to find him though. So we’ll see! Also we have another Natalia haha who is the daughter of a Recent Convert named ANna. She has already been to church like 4 or 5 times and lovessss it! We’re going to try to mark her for baptism tonight when we go to follow up with her. She has a boyfriend she’s been dating for like 6 years…..so that could be an obstacle, but we have faith!!! Alex and Jociane (hes a inv. and she’s a RC) we’re dropping for now because they just aren’t willing to progress. Alex even received a SWEET priesthood blessing (the spirit was sooooo strong) from our Zone Leaders who came and taught with us one day. But we came back the next day and he was smoking AGAIN. I know that Heavenly Father can perform miracles-no doubt. But if one isn’t willing to put forth some effort. Fé sem obras é morte. So we’re praying for them. It’s so hard because I think about their 3 little kids 4,2 and 1 month old! They’re a family, but they aren’t willing to open their hearts, swallow their pride and HELP/SUPPORT one another. I wasn’t surprised when they told us they’d been fighting with one another. We really layed it into them talking about the importance of strengthening the family. How? Family Prayer! (even just one time each day at some point), reading the scriptures daily, and going to church. The primary answers yes-but they are essential. I thought a lot about my desire to always be a strength in my family now and in my own future family. I know that the little things are important. Expressing and showing our love NEVER go un-noticed. President Monson seems to always emphasize that in every talk he gives and especially this last conference this was a theme-LOVE! Love is the most powerful force. It can soften hard hearts, change the diminished hope one may have and fill us with the spirit of the Lord. AMOR AMOR AMOR this is also what we talked about sunday in our RS lesson. Funny because I goal I made this week was to get back on focusing my desire to LOVE. Love the area, love the people, the ward, my companion to LOVE THIS WORK! Why? Because it’s the Lord’s work. And I already love Him. I am here for Him. That has always been my reason to serve a mission, for Him. CAN’T WAIT TO TALK TO YOU ON SUNDAY!!!!!!! Everything is going pretty well…no big news but lets see here what went down this week. Also I got to do a division with Sister Orr this week (did I mention she’s a sister training leader??) it was sweet. We really want to be companions again for our last transfer just for kicks. It’d be too dangerous-two gringas like us walking around haha we already get enough attention as it is. We always motivate and pump each other up. Love her. But I love my companion too, Duarte is awesome-she is so straight up with people, and doesn’t take crud/excuses from anyone haha love it. We have really bonded these last 3 weeks it’s awesome. And we are ALWAYS trying to better ourselves, our companionship…everything so ya it’s grand just to update ya’ll on that. OKay so this week we had AN AWESOME stake conference. Elder Junot (recently released member of the seventy) came and spoke to us, along with our mission president Lanius, Sister Lanius, the stakepres. and some othersthat I definitely don’t remember. SO AWESOME! Of course the theme was missionary work us 23 missionaries serving in this stake got so stoked. They laid it down talking about the need of reading preach my gospel and praying to ask the Lord what YOU CAN DO in your calling/as a member etc. to help the missionaries. The members were challenged to pray for the missionaries in their wards by name along with their investigators (take note folks). Pretty awesome. This ward already helps so much but we still are having a hard time finding people to teach (or at least people that aren’t flaky or Mole as we say). So hopefully we’ll be able to help the members reach out more to their friends/neighbors etc. after that spiritual smackdown. Also one thing Elder Junot said that was very interesting that Elder Christofferson had shared with the bretheren that currently in the church members that live near a temple (like in your own city/neighboring place) attend less often than those who live far away from a temple.Hmmokay WHAT IS THE DEAL with that??? 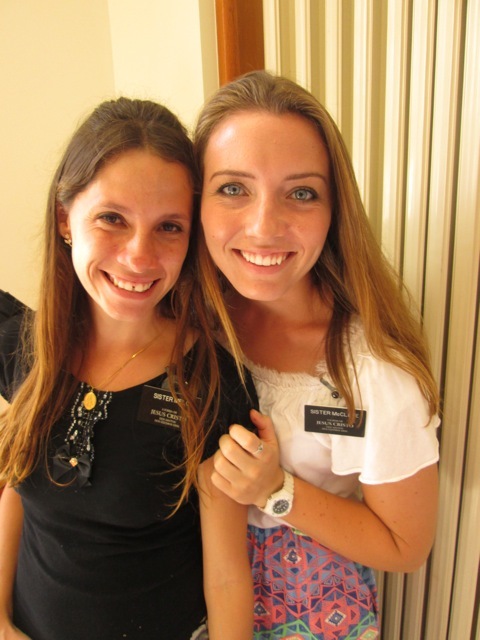 I was really sad to hear that…knowing that my last companion (Montalvão) has to travel 24 hours to go to her temple (there are missionaries here that travel much farther to theirs). So I hope we can remember what a privelage it is to have a temple,let alone one close to where we live. I know the temple is the House of The Lord and it is a refuge for us in this wicked world. There we can feel the spirit of the Lord more than in any other place on earth.We can participate in helping others come unto Christ that have already passed away. I know that we need to do the basics; Read our scriptures daily, pray, go to church but also GO TO THE TEMPLE. I encourage all those who are reading to please consider your own attendance to the temple. What are your priorities or a better question I always ask myself: who is your priority? I know for me it is The Lord. Make temple attendance your first priority-ESPECIALLY if you live close to one. I love you all! 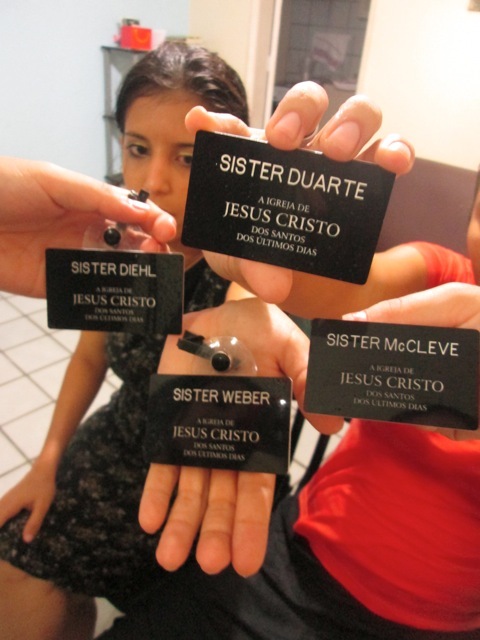 Tomorrow is Sister Duarte’s birthday! Send her an email (she can speak english) saying happy birthday pleaseeee haha she doesn1t know I’m saying this! Sister Meio and I at the stake conference yesterday-she’s so sweet! Sorry I can’t send pictures. I will next week! Primeiro-Shmurf (Geoffrey) parabens com seu visto!!! Que massa! Seriously so excited for you! The Lord truly knows where we need to be and how LONG we need to be there. How interesting that we both spent 1/3 of our missions stateside serving another people. You will be grateful for that part of your mission forever. I miss Michigan, and michiganders (and the fellow missionaries I served with) will ALWAYS have a special place in my heart. Same with you and Texas 🙂 Now you’re off to BRASILLLLLLL! Agora! Boa Sorte!!! I am so stoked for you!!!!!! OKay well I basically am just a happy little Sister McCleve right now. 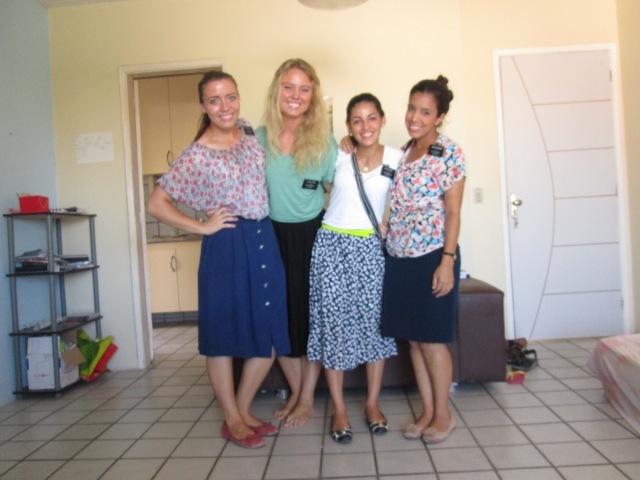 I had the greatest weekend of my mission. Easter-the time of the Ressurection of the Savior. My heart is full and happy and seriously I wish this moment could repeat over and over again. Tonight was one of the most special nights of my life. 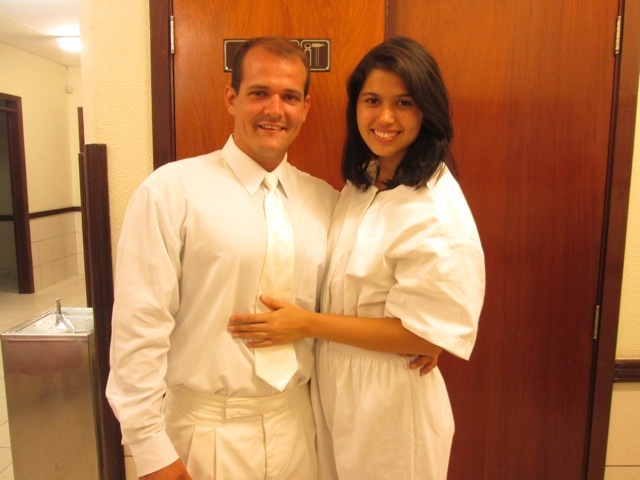 Natalia(22) and Raphael (26) were baptized as members of A Igreja de Jesus Cristo dos Santos Dos Ultimos Dias. It doesn’t feel like it has hit me, but it happened. Covenants were made tonight that changed the lives of 2 people that I love so much. I know that their mom who is up in Heaven is so happy that they made this decision. The gospel completed the part that was missing in their lives. I know that they are elect and truly were prepared by the Lord. Only 2 months ago Natalia was introduced to the gospel by Levi (member) and now 2 months later her and her brother Raphael entered into the waters of baptism to take Christ’s name upon them and follow Him the rest of their lives. Their lives were changed forever. I really felt that last night was a witness and building block to my testimony that the gospel changes lives. Literally. It’s not a fairy tale or a recipe or some formula that will work its magic for a time and then fade, dissolve or evaporate into thin air. No, it is constant and steadfast. A rock which if we build upon we cannot fall. Natalia and Raph chose to leave the things of the world behind and enter into a family. A family in the church of our Salvador e Redentor Jesus Cristo. The joy and light that I saw in they eyes of this brother and sister just RADIATED. You couldn’t deny that this night meant so much to them. Natalia said to me ” I can’t believe after all this time, that this is happening, I’ve waited so long for this..” She said before the baptism that her feelings were divided into 3 parts “emotional, sad because I miss my mom and wish she was here with me, excited because I know what I’m doing is right, and happy because I’m going to be closer to my mom”. As I saw them dressed in white I was so happy. I wanted hug Raphael so bad. The love I have for these two is so strong. As they waited to be baptized they started whispering and giggling together (they are the closest brother and sister I have ever seen and I love it). THEY WERE SO HAPPY!!!!!!!! 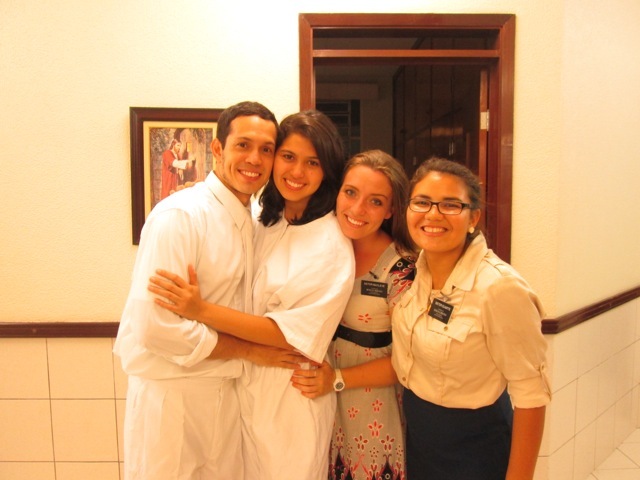 Natalia was baptized first and GLOWING, I was so happy for her she did it! She came into the bathroom soaking wet in her white jump suit and cried saying “thank you thank you thank you for everything” we just held her as she cried. I love her so much and I could feel Heavenly Father’s love for her. She said she knew her mom was happy with her decision and she felt closer to her. Raphael went next and he was so calm and reverent. You could tell that this moment was SO important to him. He went down and up so fast and was just beaming (they have the cutest/happiest smiles). The spirit was so so so so strong through out the whole baptism. I was beaming. The same continued for the confirmations of them the next day at church. 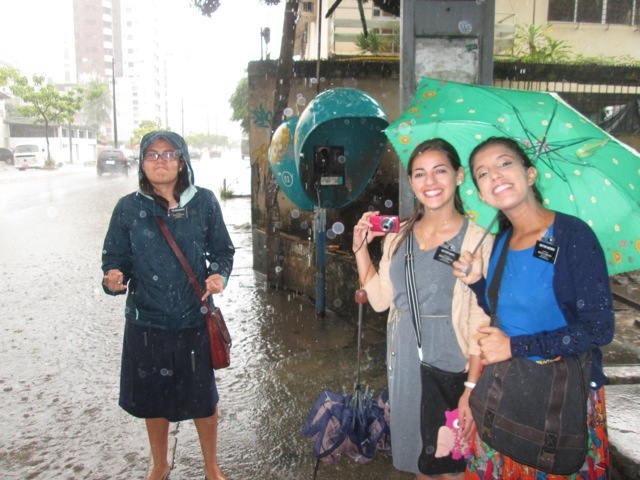 I had never had such a spiritual experience (it was like a flood of the spirit) through out my whole mission. And this was the most memorable baptism/confirmation I have ever witnessed. 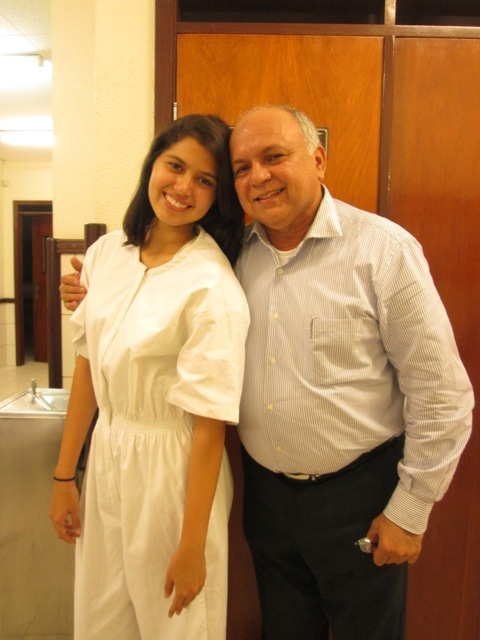 The most amazing part of this story is that the father of Natalia and Raphael had a dream the night after the baptism. He dreamt that their mom (who had passed away) came to him and told him how happy she was that her son and daughter were baptized. He woke up and sent a text to them telling them about his dream. Truly this is the work of Salvation, not just here on this earth but on the other side of the veil. I feel so blessed. I was nervous when I arrived in Candeias. I felt like I had lost a lot of faith because of the trials of my last transfer. I remember feeling doubtful and hoping that things would work out in some way. I remember just 2 weeks ago we taught Natalia for the first time, and I felt a connection with her that I had never felt with any other investigator through out my whole mission. 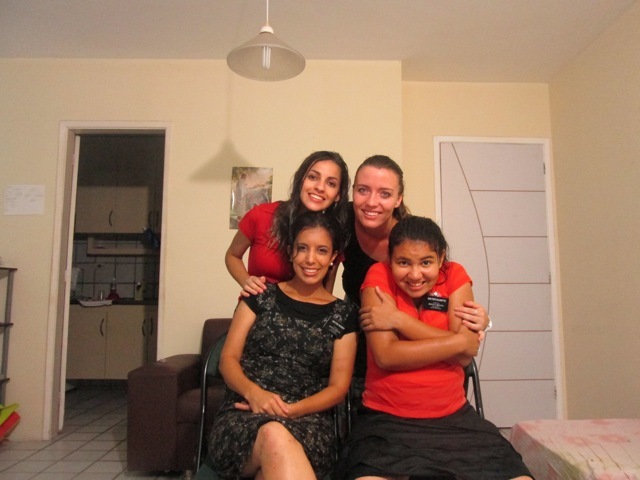 Duarte told me that her and sister white had been praying and fasting that they could teach Natalia. But it just wasn’t time yet. She wasn’t ready to take the lessons for some reason. The day of transfers, after I knew I was going to Candeias and we were getting ready to leave. Duarte got a call from Levi saying Natalia agreed to take the lessons. It was the next day we went and taught her…. How little I know the blessings that God has in store for us.He always continues to bless us even when the view seems grim. I will be forever grateful for my mission but specifically for the opportunity I had to know and teach Raphael and Natalia. I love them. I know that I promised them before this life that I would come and teach them the restored gospel. 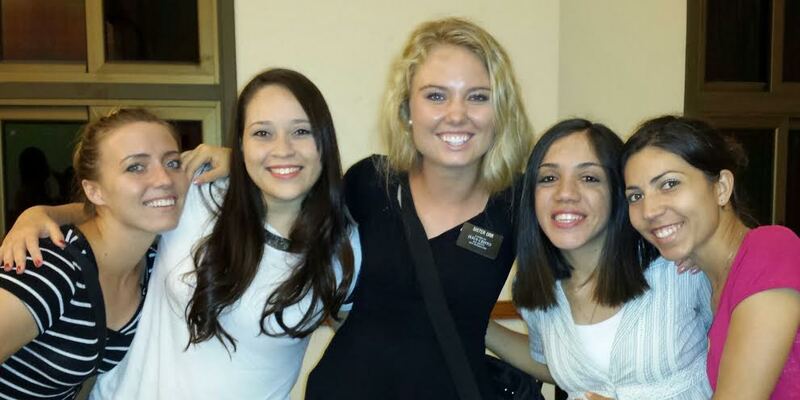 They were being prepared and I guess in a similar way so was I. I feel like my mission scripture was fulfilled with these 2 dear friends of mine. 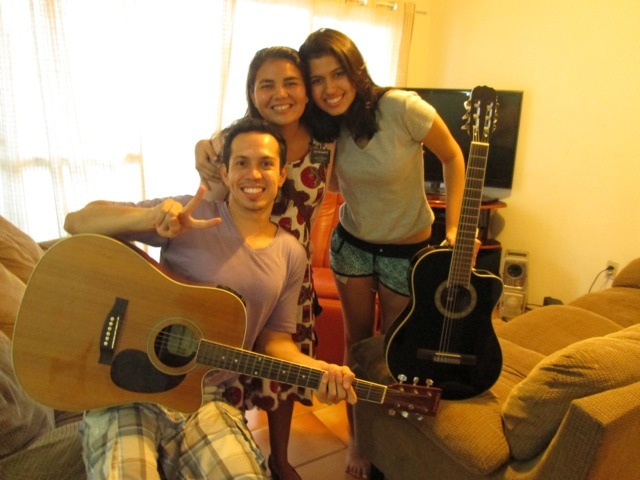 My brother and sister that I found again here in Brazil.